In an upgrade that highlights the ability of JBL’s loudspeakers to deliver optimal sound quality in limited spaces, Baker Audio recently selected JBL VLA and PD series loudspeakers for the new audio system at Bobby Dodd Stadium, home to the Georgia Tech Yellow Jackets’ football team. Facing a strict spatial limitation, the JBL loudspeakers provide extreme flexibility in the design of the system, and comprise one of the most articulate sound systems available. Renovations to the Boddy Dodd Stadium audio/visual system began two years ago with the upgrade of the Stadium’s 10-year-old video setup. Although most of the budget focused on the video system, Baker Audio was still charged with providing an audio system that could mirror the new scoreboard’s quality. The company developed a JBL solution that included two arrays of four VLA601H and two VLA601 line array loudspeakers in the stadium scoreboard on either side of the video board. The VLA series loudspeaker arrays cover approximately 80 percent of the stadium. There are four PD5212 boxes for downfill in front of a Panasonic video board in the south end zone, and four PD764 loudspeakers used for side fill. Baker Audio mounted the PD764 loudspeakers on custom mounts, which allowed them to rotate left to right on a yoke arm. The entire system is rounded off with an array of Harman Professional products--including Crown IT4000 amplifiers, a BSS BLU-32 Network I/O Expander, and a Soundcraft GB4 mixing console--all of which is configured with HiQnet System Architect™. The new upgrade allows AKG’s professional wireless systems – including the DMS 700, the WMS 4000/4500 as well as the IVM 4 – to be completely integrated with Harman’s new System Architect™ 2.1. The new System Architect Plug-In allows anyone who has an AKG wireless system equipped with the HUB 4000 Q and System Architect to be prepared for any future wireless implementation. Lexicon®, a Harman International Company (NYSE-HAR), today began shipping the new PCM92 Stereo Reverb/Effects Processor. The PCM92 utilizes the latest DSP technology and the finest collection of classic Lexicon algorithms to offer the ultimate processor for live sound and the studio applications. Delivering 28 mono and stereo reverbs, delays, and modulation effects, flexible routing configurations, and a comprehensive library of over 1200 factory presets, the PCM92 represents the most advanced audio processor in its class. “We are confident that our customers will be excited to find that the PCM92 follows in the tradition of the highly acclaimed PCM-Series processors. Whether it is at Front of House or in the recording suite, the PCM92 offers our legendary Lexicon reverbs along with a host of new capabilities that will enhance their ability to produce the most exciting and highest quality sound possible,” stated Randy Garrett, Marketing Director for Lexicon. Designed as a single rack space processor with two channels of balanced XLR or ¼” analog I/O and two channels of XLR AES/EBU digital I/O, along with MIDI, Word Clock, and Ethernet, the PCM92 complements any mixing console or integrates easily with your DAW and features 24-bit A/D-D/A conversion and 44.1 to 96 kHz sample rates. The easy to use front panel keeps the most important parameters within reach on the high-resolution display for easy editing. To supplement front panel navigation for live applications, the PCM92 can be configured and fully controlled remotely through Harman HiQnet System Architect™ and the foot switch and foot controller inputs offer additional flexibility for the live performer. The PCM92 has a suggested retail price of US $2,699.00 and is now available at authorized Lexicon dealers. Guitarist Tommy Bolan and his band N.Y.C took the metal world by storm with the release of their acclaimed metal album Zyko in 2008. This year, the band hit the tour circuit in support of their new album with shows in 24 cities, and Bolan had DigiTech with him the entire way. Bolan already has a long list of musician accomplishments precedes him. First as the lead guitarist for the band Warlock, followed by a stint as the lead guitarist for Freight Train Jane, his albums have sold over two million copies worldwide. “Right now I’m using the Whammy™ pedal and it’s a must-have product because there are endless creative options, and I’m always using it both live and in the studio,” continued Bolan. “Plus I love that it inspires some wicked riffs.” The Whammy’s legendary ability to pitch shift and control sound has become a staple of DigiTech over the last 20 years. The other DigiTech gear Tommy won’t go without is the Vocal 300. This affordable vocal effects processor includes a built-in expression pedal. It features 38 fully programmable studio quality effects and the built-in expression pedal can be assigned to control your choice of up to three parameters in real-time. “Whenever I’m playing or singing live I’m using it on my voice,” added Bolan. 2010 is shaping up to be just as busy a year for Bolan as well. “I’ll be back out on tour and we’ll be working on a new CD too. There will be additional clinics planned and of course some other surprises as well!” stated Bolan. In addition to being an acclaimed artist Bolan takes pride in his ability to share his craft with others. He currently has an instructional DVD called “Metal Primer” which features the DigiTech Vocal 300 and the Whammy. Czech Commercial TV station, TV Nova, has been a prominent customer of AudiTech, Studer’s Prague-based distributor, since its first broadcast in 1994. Celebrating their 27th World Series championship, the New York Yankees held a ticker-tape parade and ceremony before an estimated crowd of two million people on the front steps of City Hall in Manhattan, supported by Red Hook, New York-based Syntonic Design, and featuring JBL VERTEC® line arrays. 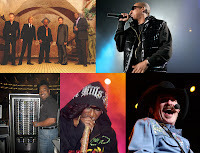 The group of presenters included Yankee legends of past and present, New York City Mayor Michael Bloomberg, and hip-hop artist Jay-Z. 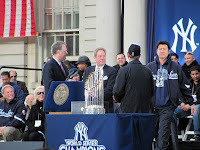 Immediately after the Yankees won game six of the World Series to secure their 27th world title, the planning for the parade began. Syntonic Design provided equipment and a crew for the entertainment portion of the celebration, with the load-in beginning just nine hours later. In the scramble to assemble the equipment and gather the crew, co-project managers John Petrafesa and Tom Clark turned to the loudspeakers they have counted on for years to reliably provide full, even sound, selecting 12 JBL VERTEC VT4889 full-size line array loudspeakers used for the main left/right arrays and front fill, supplemented with 12 JBL VERTEC VT4880 full-size arrayable subwoofers, all powered by Crown I-Tech HD amplifiers. “Because of all the different presenters, we knew that we were going to need a versatile system that was powerful enough to reach the whole crowd, and we needed it fast,” said Jon Simonetta, assistant project manager for Syntonic Design. “We used the VERTEC loudspeakers because our past experience has validated their reputation as the most reliable and even speakers available. Syntonic Design Group is a national provider of audio equipment and design services to all facets of the live entertainment industry. Syntonic operates equipment depots in New York, Orlando and Las Vegas, as well as a sales office in New York City. The company strives to offer its clients sophisticated designs that consistently exceed expectations and reduce their costs by eliminating unnecessary labor, equipment and time. In conjunction with a major facility upgrade, the administration at the Moonlight Amphitheatre in Vista, California opted to end years of renting audio systems every summer by purchasing its own permanent system complete with JBL PD5000, VERTEC® and VRX Series loudspeakers. The system was designed by Acoustic Dimensions and installed by Sound Image and provided the amphitheatre with the flexibility to host one-off concerts and events ranging from classical music to high-volume rock and roll, in addition to its primary summer use for Broadway musicals. According to Acoustic Dimensions senior consultant Jeff Miller, the system presented many challenges due to the amphitheatre’s proximity to its neighbors. With houses close by on both sides and behind the amphitheatre, there was a need to control where the sound ended up as much as possible; there was also a need to complete the project installation in a short time frame. Acoustic Dimensions ultimately chose JBL loudspeakers for their ability to deliver even coverage throughout various seating areas with good intelligibility and natural tonal response. From California to Japan, artists around the world used AKG to drive live and recorded performances in 2009; delivering uninterrupted sound with a variety of AKG microphones and wireless microphone systems. With rap legends like Kanye West, Jay-Z, and Missy Elliot, country superstars Brooks & Dunn, and acapella rockers Rockapella turning to AKG for all their live performances, AKG was able to demonstrate the sonic integrity it’s known for to the world. With the WMS 4500 wireless microphone system, Jay-Z performed in a variety of different venues; from small house of blues venues to heavily populated frequency areas for television events seen by millions. Using a handheld C 5900, he was able to keep a full mix without sacrificing any of the clarity necessary for his speedy rap style. Missy Elliot selected the D 5 handheld microphone for many of the same reasons when she performed live on David Letterman’s Late Show. The laminated Varimotion diaphragm that comes standard on all D 5 microphones gave her the most sensitive transmission available and allowed her to concentrate on her raps without worrying about unanticipated feedback. Another artist to adopt AKG for his international “Glow In The Dark” tour was Kanye West. Starting at the beginning of the year, West used the WMS 4500 wireless system and IVM 4 in-ear monitoring system in 40 cities and six continents around the world. Darcy Khan, audio engineer for West’s tour, selected the WMS 4500 for the clean RF transmission and ease-of-use; saving the presets for each city in separate folders on his computer to open upon arrival. “This feature was a tremendous time saver on the road as it allows me to easily access the file and have all of the saved settings at my fingertips,” Khan said. The global endorsement of AKG came in response to a series of groundbreaking introductions that included the DMS 700 Digital Wireless system, the C 414 XLS, and the C 414 XL II. Also introduced in the second half of 2009 was AKG’s Perception 120 USB: a microphone that can be easily used to record audio from the desktop and plugged into the computer. Brazil’s leading television network, Rede Globo Television (TV Globo), has commissioned a new Studer Vista 8 live/broadcast console. The sale was confirmed by the company’s territory distributor, Sao Paulo-based Libor Comercio E Importacao, who has been working with the network since its inception 20 years ago. It was the success of this first Vista 8 that prompted the latest purchase of a 50-fader desk. “TV Globo’s excellent experience with the original desk was fundamental in achieving this sale,” believes Henry Spong. The new console takes up residence in a large production complex (known as Projac), in the Jacarepagua area of Rio de Janeiro. Here eight identical studios are used (principally for soaps) along with two large audience participation studios for shows. It was the digital upgrade of the first of these large ‘auditorium’ studios to full HDTV capabilities that saw the Vista 8 specified as the main audio desk, after simpler solutions had been adopted for the less critical requirements of the ‘soap’ studios. It is the comprehensive snapshot system and dedicated mute groups that make Vista 8 the perfect multipurpose solution for live performance and live studio broadcasts, combining and extending the powerful on-air features of the Vista 6 with the dynamic automation of the Vista 7. Furthermore, the new control bay design offers more faders in a smaller footprint making it ideal for both fixed install broadcast and remote vehicle applications. TV Globo have sent personnel to the Studer factory for training to apprise them of the performance, operation and servicing of the Vista 8, and the network (including project engineers, operation personnel and maintenance) is said to be very pleased with the Vista 8’s performance. “In particular they feel very comfortable with the Vistonics™ operating platform and the redundancy philosophy,” says Mr. Spong. As a result, a subsequent project will see the first of Globo’s large HDTV OB trucks installed with a further Vista 8. Located in the heart of Berkeley since 1968, Freight and Salvage had been in the same building since opening its doors. When the decision to move was made at the beginning of the year, it needed to find a building that could provide a large auditorium for concerts, but also contain smaller rooms for its expanding educational program. Freight and Salvage relocated to an old building that was renovated to look like new; it now features a 440-person auditorium and six classrooms for practicing and teaching performers. The installation was completed by Pro Media / UltraSound, with Shalleck Collaborative contributing to the design work. Another reason that May selected the Vi4 was the digital console’s ability to save digital presets, giving the crew the power to have specific settings for specific shows. With the Vi4, each member of May’s staff can have their own settings saved and ready to go at the touch of a button, and each show can be specially designed weeks before and saved to the console. “At Hippy’s show, the Vi4 really proved to everyone that it was the best selection,” May says. “On that show and ever since, we couldn’t be happier with the consoles ability to handle even the most complex settings with ease. Daktronics recently completed an installation at the Allen Event Center in Allen, Texas, using 25 JBL AM4215/95 loudspeakers placed every 30 feet to deliver even sound throughout the bowl seating area. The sound system is powered by Crown CT1200 amplifiers and uses an assortment of Harman products in to reach into the Arena’s bar and lounge area. One of the largest manufacturers of LED video boards, Daktronics has used JBL loudspeakers for more than 30 years in all different types of installations. For the Allen Event Center, Daktronics was faced with the task of installing a sound system that could be played individually in the bar or lounge area for private parties, but also have the ability to be integrated into the larger system for hockey games and public skating events. Having used JBL loudspeakers such a long period of time, system consultant and installer Doug Dodge was familiar with JBL’s sonic integrity, and he knew that the AM4215/95’s would be the best solution for the application. One of the biggest challenges faced by Daktronics during the installation was the time frame. The system was going up along with all of the other construction that came with building the hockey arena and meant that Daktroniks had to work around the other companies installation schedule, but finish in the same amount of time. In addition to the JBL loudspeakers and Crown amplifiers, the system included the use of AKG microphones. With the array of Harman products in use, Daktronics was able to utilize Harman’s HiQnet System Architect™ to easily plug and play the system. Taking advantage of the power of Crown’s I-Tech HD series amplifiers and flexibility of the Studer Vista 5SR console, California-based Sound Image deployed 80 I-Tech HD amplifiers and a Studer Vista 5SR for use on country music star Taylor Swift’s tour throughout North America. According to Fischer, Sound Image chose the Vista 5SR for its audio quality and versatile control surface. “The audio quality is the most obvious advantage over other digital consoles,” stated Fischer. “Being able to do six different things on different channels and input data all at once is a huge advantage when you are mixing live. The main challenge throughout the tour was covering the audience evenly around to 240 degrees, along with keeping track of close to 70 inputs. For Fischer, this was his first experience with Crown’s I-Tech HD amplifiers. “I’ve been using Crown since the DC series. Lately, I’ve been using the original I-Tech amplifiers, but for this tour we went with the HD series. They have been reliable and improved the sonic quality of the speaker system; overall they’ve performed great. 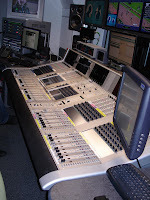 In the first use of a Studer Vista 5 console in a CBC/Radio-Canada facility, Radio-Canada Acadie with main studios located in Moncton, New Brunswick recently purchased a Vista 5 for its television studio. 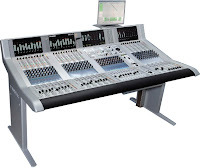 Sold through Solotech Inc., the Vista 5 console features 32 faders in a 42-fader chassis. 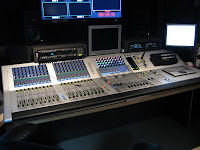 The guys at Channel 7 Perth’s news control room have put their aging Euphonix 2000 mixing console to rest, replacing it with a Soundcraft Vi6 large-format digital live desk. Graeme Pennifold, Channel Seven’s Engineering Manager, states that there were other contenders but that they very soon focused on the Studer from an operational view. ”We liked the Vistonics control on the Studer, in fact that’s what really sold us, but we were amazed to find that the Soundcraft Vi6 also has the Vistonic control but in a console that is much more affordable,” he commented. “The Vistonic interface on the Vi6 is very intuitive,” agreed Colin. “I would describe it as a fourth generation digital console. Digital consoles very quickly got very powerful but you really needed to know what you were doing with them. They never really told you what you were doing with them all that clearly. Graeme and Colin report that since the arrival of the Soundcraft Vi6 into the newsroom their jobs have been made a lot easier. Whilst Colin operates the Vi6 for the news reports Monday through to Friday, a range of freelance operators are in charge at the weekend. ”They are all experienced guys but may only be doing the news once or twice a month so such an intuitive console was a huge bonus,” Colin said. Colin pointed out that the console also sounds good, stating that not all digital consoles in that range do. He describes the sound of the Vi6 as warm with really good dynamics and EQ. ”They’re a little touchy,” he added. “You don’t want to get too brutal with them, but it sounds sweet and we can get a nice strong sound that doesn’t get blown away by the commercial breaks which is often a problem when you’re live to air." Judges for the show included an array of respected audio and musical professionals ranging from creative composers to studio producers. With some of the most finely tuned ears in the business deciding the fate of each performer, the AKG DMS 700 system matched musical talent with sonic integrity. Not only does the clean digital audio transmission eliminate the distortion and significant noise levels that accompany other analogue systems, but it also offers 155MHz of bandwidth, which provides a robust and versatile operation that’s perfectly suited for a competition like Asian Million Star. Also, the DMS 700 has the ability with 40 pre-programmed frequencies, which allowed it to easily transition between any and every musical style on the show. The move to Hong Kong offered Asian Million Star its first chance to use AKG’s DMS 700 wireless audio system, with Tom Lee Engineering supplying the equipment. After 30-years of experience in the industry, the professional audio and lighting company had confidence in the abilities of the AKG equipment. Soundcraft Studer’s production strategy; to converge both brands production in the Potters Bar facility, passed a significant milestone this week. With UK production now in full swing, the first Studer Vista large-format consoles were completed and went through test procedures with flying colours. SSE Audio provides Soundcraft platform for rock legend’s European leg. POTTERS BAR, United Kingdom — When Alice Cooper embarked on his current UK and European Theatre of Death tour, his long-serving sound engineer Randy Meullier was finally able to bag his first choice digital console — the Soundcraft Vi6™. And he says he largely has Pete Russell at the SSE Audio Group to thank. Taking over the European sound production duties from Phoenix-based Precise Corporate Staging (PCS), by the time Russell suggested that Meullier try the Soundcraft platform (with the Vistonics™ II interface), the sound man — who has been piloting the legendary rocker’s front-of-house mixes for the past seven years — had already served his baptism on the Vi6 in Norway and Cyprus. The band generally uses a lot of pick-up PA’s on tour in the States — sourcing racks and stacks locally while carrying their own monitors and control. This can bring its own problems, as Pete Russell acknowledges. “This is the fourth tour we have done with Randy, and I know how frustrating it has been for him to get consistency due to the inbuilt quirks of the console he was using prior to this — which won’t handle the anomalies of different systems easily. The sound engineer agrees. ”I was an analogue engineer who was dragged kicking and screaming into the digital world. But the Vi6 is like an analogue board, and a pleasure to use. The concert was a big success and Randy had the show saved on his memory stick. When he arrived in Cyprus and found another Vi6 waiting for him, all he had to do was plug in his USB and load up his show file. He says the Alice Cooper band can be particularly difficult to mix. “They play loud and this year they have gone to in-ears. These cause Alice to sing softer but with much better quality — but Alice’s mic isn’t always directly in front of his mouth because of all the action on stage. I could never get the quality of his voice with my old desk whereas I can get it with the EQ on the Vi6 and can push him harder with no trouble to keep him on top of the mix, because audiences want to hear every word he sings. Because of the loud stage volume Randy also has successfully used some minor gating on the downstage background vocal mics. The dynamics section allows this better than any other console he has used. Finally, using the MADI output on the Local Rack the sound crew are also ready to multitrack the shows. With the established team of Cesare Sabatini and Toby Mamis handling production and tour management duties respectively, and sound engineer Paul Bostic again partnering Randy Meuillier at the stage end (with SSE systems tech Andy Yates assisting Paul), these latest dates have delivered high octane sound to Alice Cooper’s loyal fans throughout Europe. “It’s vital that a legend like Alice Cooper can get the sound quality he deserves,” Randy concludes. And after his experience piloting SSE’s Vi6 over the ten UK dates, he is determined that when the touring season resumes in Spring, and the entourage heads off around the world, a Vi6 will be at the top of his technical rider. Pictured are Nick Muellier (Left) and David Quigley. DigiTech®, a leading manufacturer of guitar, bass, and vocal processors, and a Harman International company (NYSE-HAR), has announced a free Version 2.0 software upgrade to the popular RP500 Multi-Effect Switching System. The upgrade now provides RP500 users with a 20-second looper. “The free upgrade takes the RP500 to the next level by adding a 20-second looper. You can easily lay down a phrase, loop it, then change presets to a totally different sound and loop again. It’s a great way to create new songs or to perform by building the song right in front of the audience,” said Jason Lamb, Marketing Manager for DigiTech. The RP500 features over 125 amps, cabinets, stompboxes and effects, including DigiTech’s famous Whammy, unique Pedalboard Mode that offers switching system on/off control over stompboxes and effects, and USB audio streaming to your PC or Mac. The free Version 2.0 upgrade will be available for download at www.digitech.com on December 2, 2009. Providing system designers and integrators with leading amplifier technology and unmatched technical knowledge and support, Crown International is offering two online seminars focused on network design for audio projects. The free seminars are first-come, first-serve, with registration being limited to 50 participants per seminar. Each will be offered twice to accommodate individual schedules. 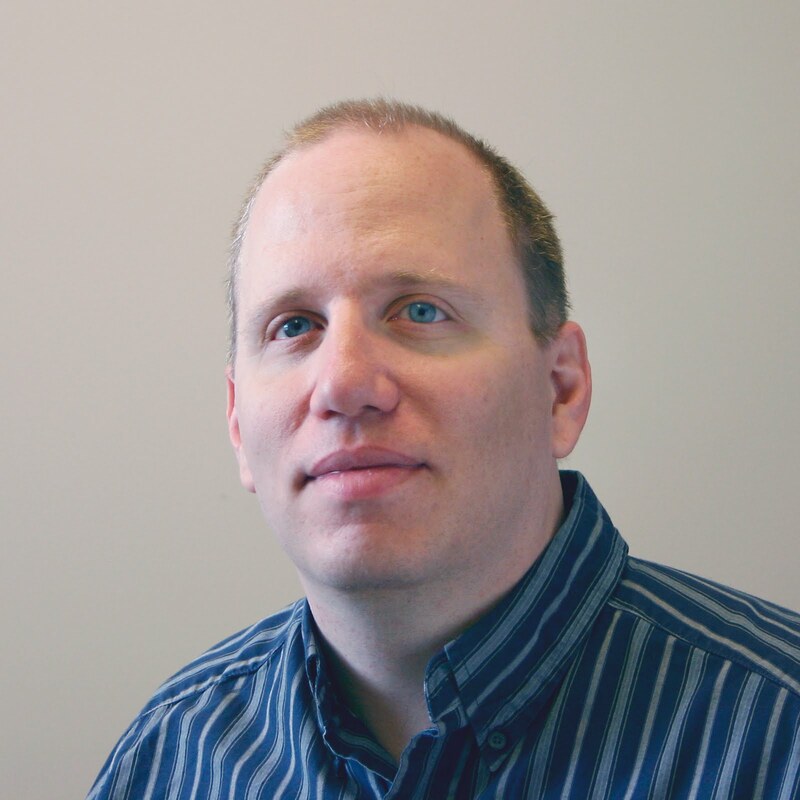 Each seminar will be led by Bradford Benn, Director of Application Engineering for Crown. Benn is Crown’s lead network design and development specialist and has worked on projects ranging from NFL stadiums and NASCAR racetracks to NHL arenas. For more information, or to register for any of the above seminars visit http://www.crownaudio.com/tutorials/webinars091203.htm. These seminars will be conducted through WebEx Training Center. The requirements are an active internet connection, a web browser, and either a computer with audio capability. Exact requirements can be found at http://support.webex.com/support/system-requirements.html. 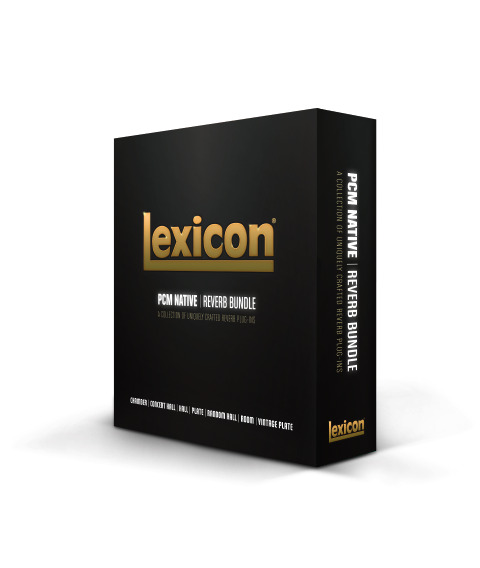 After meeting extremely favorable reviews at its AES introduction in October, Lexicon today began shipping the new PCM Native Reverb Plug-In Bundle. The newest addition to Lexicon’s legendary processing family provides seven Lexicon reverb algorithms that are designed to deliver the highest level of sonic quality and function while offering all the flexibility of native plug-ins. As the ultimate studio reverb package for creating professional mixes within popular DAWs like Pro Tools, Logic, and Nuendo, the PCM Native Reverb Plug-In Bundle is one of the most highly anticipated introductions from Lexicon yet. It includes unique plug-ins for each reverb including: Vintage Plate, Plate, Hall, Room, Random Hall, Concert Hall, and Chamber, and comes complete with over 950 of the most versatile and finely crafted studio presets. The user interface is extremely intuitive and displays nine of the most logical parameters for customization, but also provides the ability to transition deeper into the algorithm to edit the full matrix of parameters. Input and Output Meters allow a user to quickly assess the audio levels going to and from each reverb and the EQ section makes it possible to visually dial in the settings for both the early and late reflections. To add another tool to the user’s arsenal, each plug-in is complemented with three multi-dimensional real time displays that offer additional insight to help shape the sound. The PCM Native Reverb Plug-In Bundle is ideal for recording and post-production environments where unsurpassed quality is required. It is a fully functional cross-platform plug-in that is compatible with Windows XP, Vista, and 7 along with MAC OSX 10.4, 10.5, 10.6, Power PC and Intel based. The Bundle is Native only, and requires iLok authorization. It is now available from authorized Lexicon dealers with a suggested retail price of US $1899. The Harman Music Group today announced the promotion of Craig Paller from Vice President, Domestic Sales, to group-wide Vice President, Worldwide Sales and responsible for strategic planning and sales initiatives at the brand, market, and dealer level for BSS Audio, dbx Professional, DigiTech, and Lexicon Professional. Today’s announcement was made by Rob Urry, President of the Harman Music Group. “Craig Paller is an outstanding sales executive with a proven understanding of the markets Harman Music Group serves and deep empathy for the needs of our dealers and customers,” Urry said today. “In this new role his experience, enthusiasm, and leadership skills will benefit all of our brands in growing and strengthening in each of their specific markets. 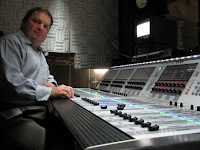 Paller joined Harman Music Group in November 2005 as Vice President of Worldwide Sales for BSS Audio & dbx professional. In 2007 his responsibilities were expanded to include sales management for Lexicon Professional. In this role he successfully managed the US sales team for these brands and successfully met commercial targets. Prior to joining Harman Music Group, Paller was the Director of U.S. Sales for Shure and managed all aspects of sales and distribution including policies, forecasting, pricing, dealer programs, as well as promotions and sales goals. Paller began his career at Electro-Voice, Inc, were he held several positions including National Sales Manager and overseeing sales for their U.S. MI Market. 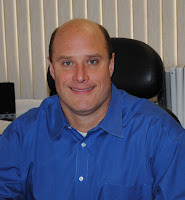 Craig Paller holds a bachelors degree in Marketing from Millikin University. In addition he also holds Six Sigma Green Belt certification.